Want to take Forklift Training in Newfoundland and Labrador? Here's How - Be Certified Today! Forklifts are important pieces of equipment used in the loading of heavy materials and goods for transport or safekeeping. They’re being used in many kinds of work environments – in manufacturing, logistics and in a material-handling type of business. As a matter of fact, you would not see a warehouse without it. Their popularity and wide-spread use for heavy-lifting work makes it one of the causes of accidents in the workplace – each year hundreds of accidents involving these machines have been reported, some are fatal. This is the reason why employers should provide lift truck safety training to their workers. The operators must be properly trained and certified operating it. 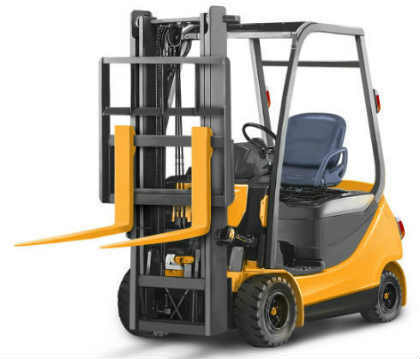 The forklift training makes the employers and operators aware of their responsibilities for safe operation of this kind of truck in the workplace. If you are an Individual who desires to get into this job or employer who wants to maintain safety in the workplace, having such training is essential. Now, if you are searching for forklift training in Newfoundland for your workers or self, we prepared this article for you to help on your journey. Enroll in a course offered by a training center or school – look for a school where you want to take the forklift training course, we’ve readied that for you, below is the directory of schools in Newfoundland and Labrador where you can enroll. Attend the classroom training – one of the important aspects of taking the course is attending the classroom lectures. It builds a relationship with fellow students and instructor and it able you also to grasp the theoretical knowledge in forklift operation. With classroom training, you can personally engage and focus. Taking it involves watching a series of videos, learning from Powerpoint presentations and you can even participate in discussion and debates. This usually runs for 6 hours. Attend the practical training – The second part of the course is practical training. This is where you will put the knowledge you have gained from the classroom. The goal of this is for you, the student, to develop the practical skill and abilities in the safe operation of the forklift. You will perform tasks such as loading, unloading, traveling with loads, transporting loads on an incline, picking pallets, putting the loads on the rack, operating in confined space, physical inspection, etc. This usually runs for 2 to 3 hours. Get evaluated – the instructor may administer a written exam in addition to the practical testing. The purpose of the written test is to gauge the knowledge you had learned from the course. In the practical test, the instructor will give a set of tasks for you to complete. The tasks are usually identical to the ones you had performed during the practical training. If you pass both tests, you will be assured of receiving your certificate. Receive your certificate/operator card – At the end of the course, all successful students will receive their certification and/or operator card. Congratulations, you are now certified forklift operator! This document is your evidence that you had undergone such training; you can show this to a prospective employer when you’re applying for a job. Choose the school with modern forklift equipment and facility – you would not want to get trained on rusty and old pieces of equipment, would you? Ask the school if you could pay a visit to their facility, observe the premise and the equipment they used in the training. Are they clean and modern? Low student-teacher ratio – when you enroll in a class, find a class with a low number of students. Make an inquiry prior to enrollment, ask the school how many students they accommodate in a particular class. The ideal number would be not more than 10. With low student-teacher ratio, you will be getting the focus and attention during the course and you don’t have to share the equipment with a fellow student – in the bottom line, you will get the best education worth of the tuition you paid for the training. Employment assistance – if you are searching for an immediate job after completing the training course, it would be beneficial for you if you find a center that offers such service. The training center or school usually maintains contacts with hiring managers and employment agencies. Experienced trainer – a good trainer has a lot of teaching experience under his belt. The trainer should have the certification/license and skills necessary to conduct such training on different types of forklifts. There’s no way to know this but to ask the school about the credentials of their trainer. How Much Does It Cost to Take the Training Course? Right now, probably the thing that runs on your mind is how much it would cost you to take the forklift training course. I would be bothered also of the cost if I were in your situation. But there’s nothing to worry, it would not burn a hole in your pocket. The tuition cost may vary depending on the school and on the course. But usually, it costs around $150 to $200. This doesn’t include training materials such as textbooks and supplies. You have two options to take the forklift training course, you can either do it in-person or online. Though we don’t recommend the online certification course because of its disadvantages, this option is there for you. Taking online training is less expensive but again we don’t suggest this, we still recommend the in-person training. The training course runs for 8 hours but the length of the course may differ depending on the comprehensiveness and quality of the training, and of course, if you’re a slow learner, it tends to be longer. You will get an average hourly wage of $15 and you may spend up to 50 hours per week on the job in different shifts. If you are a forklift operator you might probably heard a lot of bad things about this occupation. But there is nothing to worry about. According to the latest statistics, the future of forklift operators will continue to be in good outlook as this trade is still in demand in many different business sectors. The best opportunity to get employment is in the construction, and in manufacturing and warehousing type of businesses. In general, the growth of employment for forklift operators will continue until the year 2026 as more and more businesses require qualified talents like you. Taking forklift training in Newfoundland is essential for employers and workers alike. The forklift certification you will obtain is transferrable across employers once you got such qualification. This is your solid proof that you’ve undergone such training and you have the credentials to perform the job safely and efficiently. Spend some time and small investment to earn this credential. Forklift license is a big advantage for you when applying for a job or requesting for a promotion.